Memorial Day Oil Change Coupon! 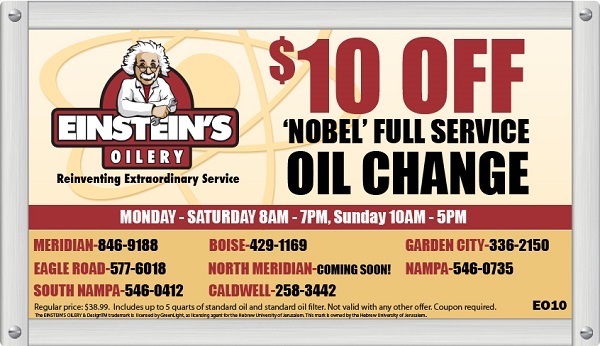 Get $10 off a ‘Nobel’ Full Service Oil Change with our online coupon here: Oil Change Coupon. Einstein’s coupons may be printed or redeemed from your smartphone at the time of service! 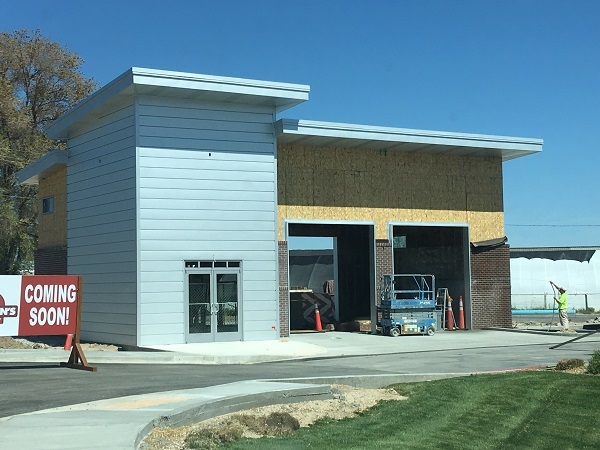 We are in the final weeks of construction on our newest location in Caldwell at 4719 Cleveland Blvd (across from Walmart) . We expect all the finishing touches to be complete in time for an early June opening. We look forward to bringing extraordinary service to the Caldwell community very soon! Idaho Gives Thursday May 4th! Have you dreamed of making history? Of course, we all have. And now we have a chance to be a part of Idaho’s day of giving – an opportunity to unite our community around causes in which we truly believe and help nonprofit organizations connect to the larger community. Idaho Gives is an online, statewide, 24-hour giving day taking place on May 4th, 2017. Every year this event brings people across our state together to support Idaho nonprofits and raise awareness for the awesome work they do for our communities. On May 4th, starting at 12:00AM midnight, visit http://idahogives.org and make a donation to any of the great participating nonprofit organizations in our state. Help raise $1.2 million, a dollar for every adult Idahoan!